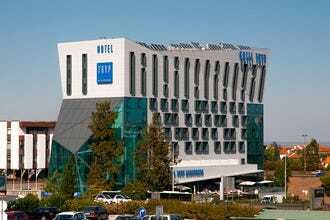 The choice of bed and breakfast in Lisbon is extensive. In fact, B&B options provide visitors to Portugal’s capital with a diverse range of accommodation, anything from inexpensive guesthouses to stylish boutique properties. 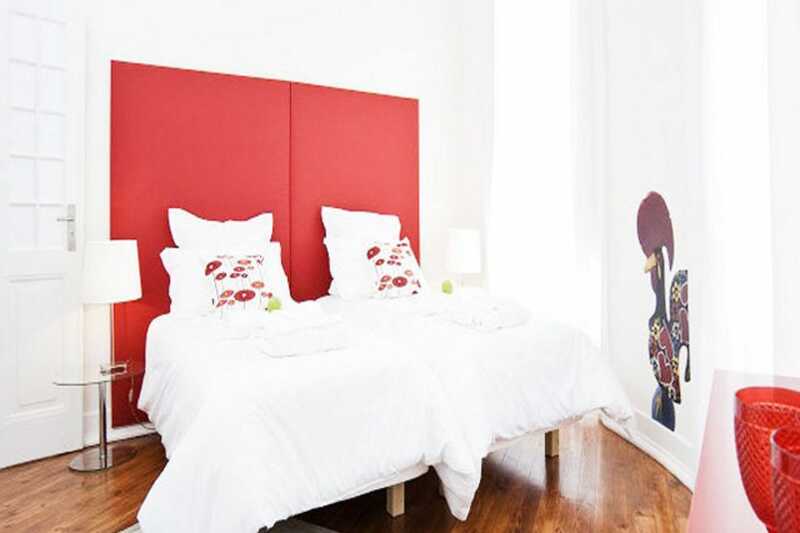 Typical of Lisbon’s upscale choice of B&B options is the chic, stylishly appointed Lapa 82 - Boutique Bed and Breakfast, located in one of the city’s most desirable residential areas. The equally refined Dear Lisbon - Charming House property, situated in the Santa Catarina district, also exemplifies the capital’s high-end B&B product. 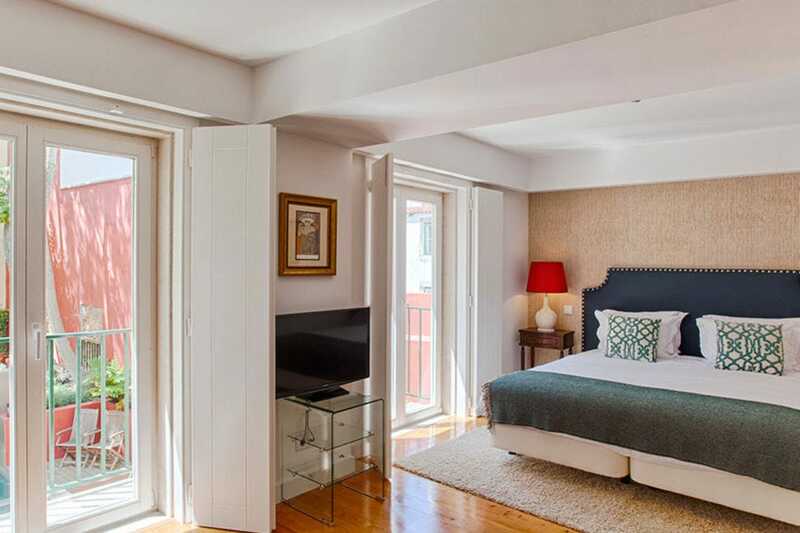 Meanwhile, Casa do Patio Guesthouse and Apartments by Shiado in the city’s Bairro Alto district offers a more traditional ambiance, fashioned as it is out of an original 19th-century townhouse. Similarly, the colourful interior design that characterises Solar dos Mouros in Alfama reflects the owner’s passion for local art and culture. Exuding an equally attractive and contemporary atmosphere is Lisbon Dream Guesthouse, which sits near the landmark Marques Pombal roundabout. Super friendly Residencial Florescente Lisbon, located behind Restauradores, is known for its impeccable guest service and snazzy décor. Meanwhile, over in the Principe Real quarter is Pensão Londres, a charming reminder of yesteryear with its noble architecture and ironwork balconies. Back across town is Sete Colinas, a popular B&B and handy for exploring the culturally diverse Martim Moniz area. 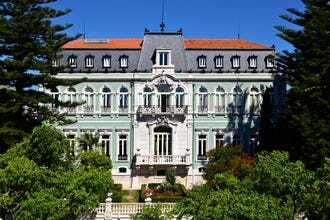 As its name suggests, Botânico Hotel is located near Lisbon’s botanical gardens and represents great value for a three-star accommodation offer. And the no-nonsense DAH is another safe bet for those seeking a wallet-friendly B&B within shouting distance of the city centre. This hotel has two stars but deserves another such is its elegant and contemporary interior, upscale accommodation and spot-on guest amenities. 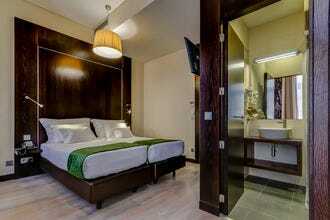 The 39 ensuite rooms are stylishly furnished and air-conditioned and range from single to quadruple occupancy. All have cable TV and free safety deposit box, among other amenities. The wireless internet connection is free. A nourishing buffet breakfast is included in the price and served in the top-floor breakfast room. On dry days, tables are set on the panoramic terrace where the city views are inspiring. The DAH is located in the mid-town Arroios district of the city in a quiet street, but is nevertheless within walking distance of several Metro stations. 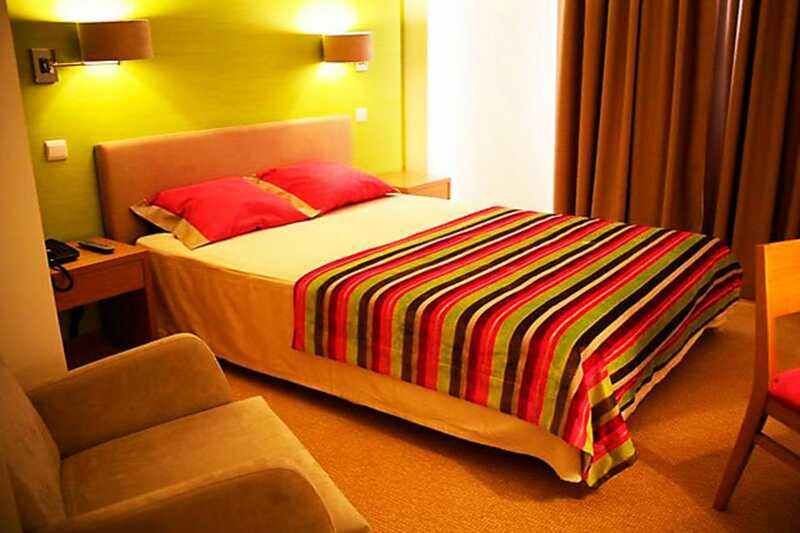 Named after its proximity to the city's Jardim Botânico, this 30-room 3-star choice is a useful option for those wishing to explore nearby Bairro Alto and Principe Real, districts known for their nightlife, and who don't mind a bit of a climb (the hotel is situated half way up a steep hill with narrow sidewalks). The basic but spotless accommodation is comfortable, and all rooms have ensuite bathrooms. TV, mini-bar and air-conditioning is standard. Guests staying in Superior double rooms on the upper levels are greeted with sparkling wine on arrival and can enjoy city views from their windows. Breakfast is included in the rate, which is very competitive for a 3-star. Prices dip even further during the winter season. 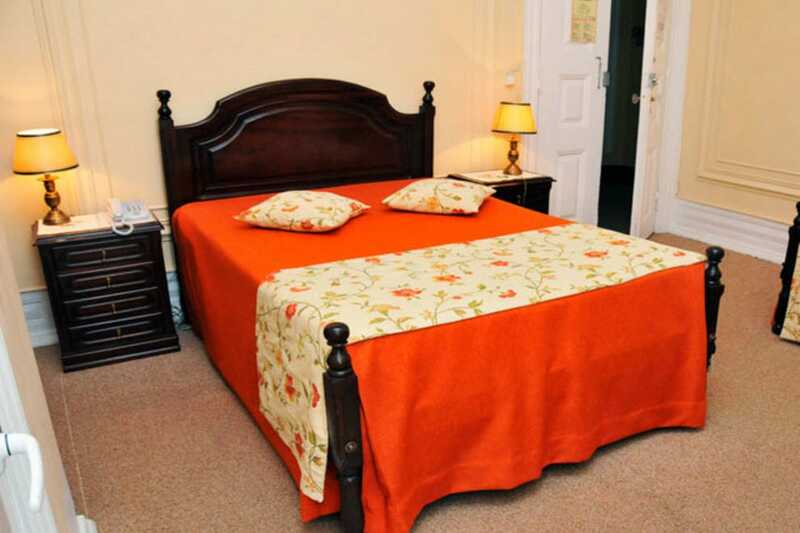 Situated on Avenida Almirante Reis, one of the city's most culturally diverse areas, the "Seven Hills" guesthouse has won plaudits for the quality of its facilities and value for money. The ensuite rooms are well appointed and feature air-conditioning and wireless internet, among other modern conveniences, and are popular with young couples on a budget city break as well as business executives seeking a stopover. Modest in size, the hotel's spruce interior and excellent customer service bellies its two-star status. Furthermore, the location is convenient for exploring the city, with the Baixa (downtown) district just 15 minutes' away on foot. Public transport options include the Metro (the hotel is opposite Anjos metro station). Walk south along the avenue and you'll reach Martim Moniz, the departure point for Tram 28. This handsome townhouse is a charming reminder of how early 20th-century Lisbon used to look like. The property is built from solid stone, with windows skirted by filigree ironwork balconies, and is a local landmark. Accommodation is set over several storeys and configured with single and double rooms with private or shared bathrooms. There are also a number of triple and family rooms (suites), all with private bathroom. All rooms have wireless internet, and some have air-conditioning. The top-tier rooms afford outstanding panoramic views of downtown Lisbon and the River Tagus. Breakfast is served Continental-style and includes fresh croissants and tangy fresh orange juice. 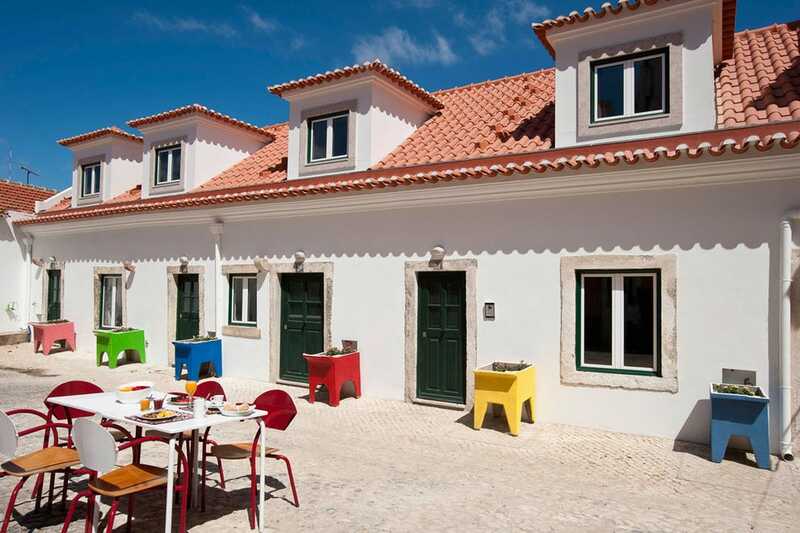 Guests are well placed to explore Bairro Alto and neighbouring Principe Real with its attractive park, and there are dozens of nearby restaurants and bars to take advantage of. The homely ambiance and unbeatable location of this friendly bed and breakfast has put it firmly on the tourist map. Florescente's guest service and excellent value for money also makes it one of the best downtown options. Located in a pedestrian street packed with outdoor caf?--s and restaurants, the guesthouse is set over 6 floors and offers 68 double and twin rooms all individually furnished and with ensuite bathroom facilities. Guest amenities extend to flat-screen TV with satellite channels and wireless internet. Breakfast is taken in the ground floor hall and is included in the price. Conveniently, the snazzy Perola Lounge & Restaurant situated next door solves the "where shall we go for dinner?" question. 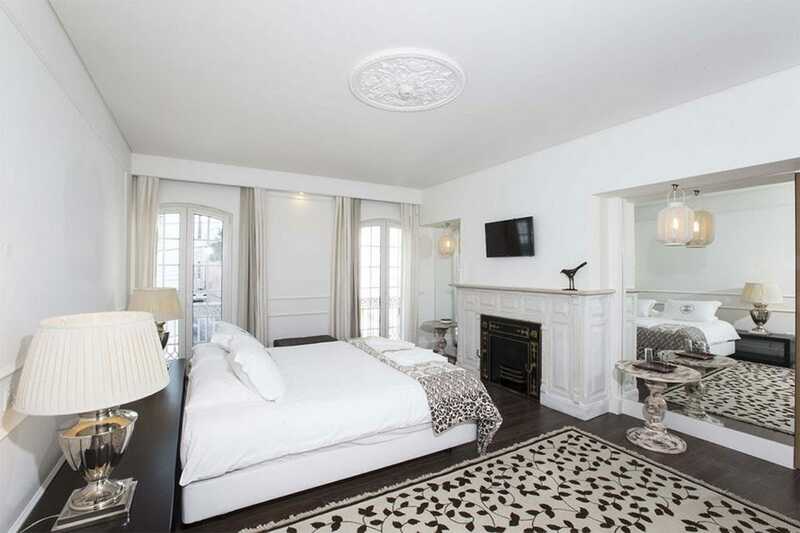 Located on the first floor of a renovated mustard-hued townhouse near Marqu? 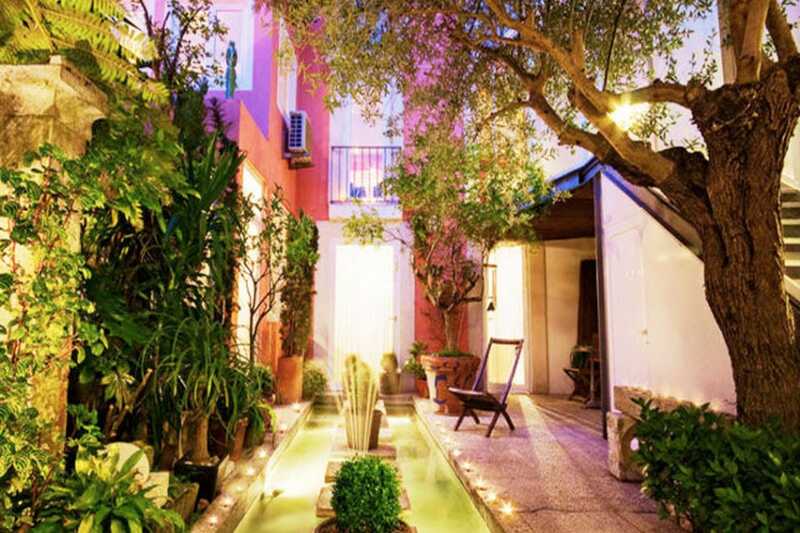 ?s de Pombal, this modern and brightly decorated bed and breakfast is set under high ceilings and interconnecting internal patios that help accentuate the sense of space. The contemporary furnishings, colourful printed fabrics and minimalist ambiance add style and a touch of affordable luxury to this mid-town bolthole, a favourite with young couples seeking a city break without breaking the bank. The "LD" offers a range of smart twin and triple rooms, plus a selection of single options, all individually designed and colour coordinated. All room share several common bathrooms that are kept pristine and spotless, and guests are provide with bathrobe, slippers and towels. Continental breakfast is included in the price, as is internet access. When you live in a road that translates as the Miracle of Saint Anthony perhaps you should expect something special, and that's exactly what this fabulous place is. Tucked away in the middle of Alfama, Lisbon's oldest neighbourhood, this bed and breakfast hideaway is owned by respected Portuguese abstract artist Luis Lemos. His creative flair and eye for design is everywhere, especially in the 12 spacious rooms and suites where African art and pieces from contemporary artists decorate the walls. 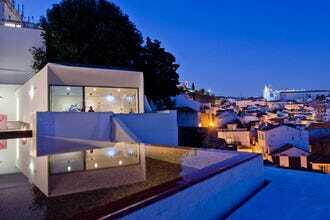 Every room has a spectacular view of Castelo de Sao Jorge or the River Tagus. The deluxe suite is replete with balcony. The icing on the cake however is the amazing duplex suite, which sits on top of a tower. All room rates include breakfast. This traditional Portuguese patio townhouse has been transformed into a delightful boutique guesthouse. The 19 rooms, standard double, superior double, double apartment, and family rooms, are all individually decorated in a fresh and contemporary manner to complement the original architecture, all sloping ceilings, wooden flooring and rustic furniture. 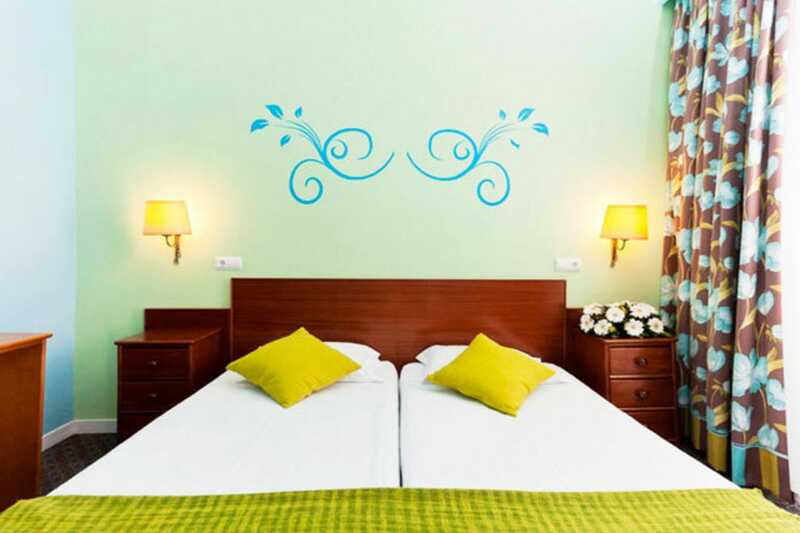 All rooms are air-conditioned and have private bathrooms. Guest amenities include cable TV and wireless internet. During fine weather the full breakfast, brimming with delicious homemade goodies, can be taken on the cobblestone open-air terrace, and is served with fine views of the surrounding Santa Catarina district. 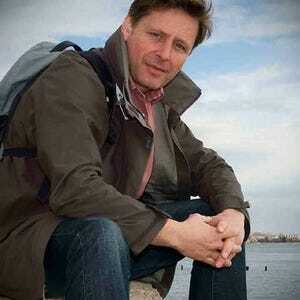 Despite its quiet location, the guesthouse is only a five-minute walk from the bars and restaurants in Bairro Alto. The 20 rooms at this bright and wonderfully welcoming B&B establishment comprise terrace suites, junior suites, garden rooms, and street rooms. Decorated to a chic, individual style that combines a classical veneer with a contemporary signature, each room affords a different view of the city, from a Santa Catarina rooftop panorama to a locally flavoured sidewalk perspective. Guest amenities include broadband WiFi, and LED TV. Air-con is standard throughout. Public areas extend from a comfortable lounge, replete with mini library, to the roomy breakfast salon, where a scrumptious morning buffet is set out. But the hidden delight is the marvellous riad-style inner patio, a little bit of Morocco set right in the heart of Lisbon. The plunge pool is what hot days are made for! Set in one of the city's most exclusive residential neighbourhoods, Lapa 82 radiates a refined and sophisticated charm as befits the area. Comprising stylish executive, superior, premium, and family rooms, each is individually decorated to the highest aesthetic, all printed fabrics, upholstered furniture, and mattresses as soft as marshmallow. Ensuite bathrooms feature a shower. Air conditioning, LCD television, safe, and Ipod docking station are among the standard amenities. There's also free WiFi access throughout. Public areas are equally alluring. The living room exudes a homely atmosphere, a place to sit and unwind over a good book and a glass of wine. Breakfast is taken here, but more often than not guests will opt to start the day at a table in the courtyard, a cobblestone indoor patio that affords privacy and more than a hint of the romantic. Lapa 82 is located out of the city centre, and is around a half-hour walk from Lisbon's historic hub.